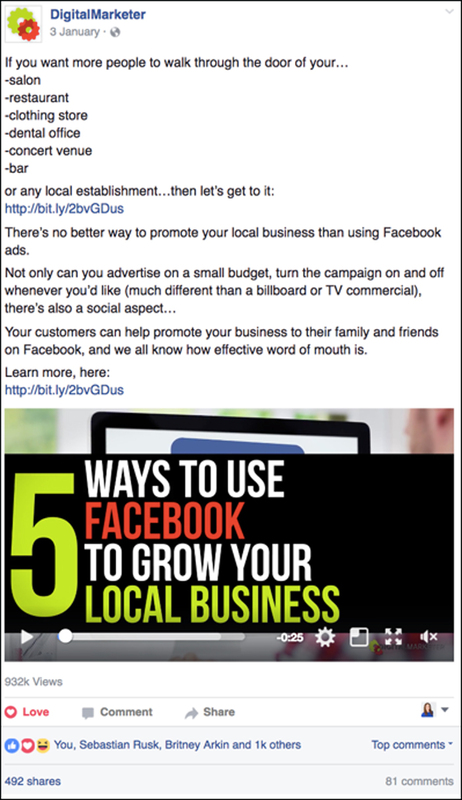 Ryan Deiss hasn’t run Facebook ads in years. 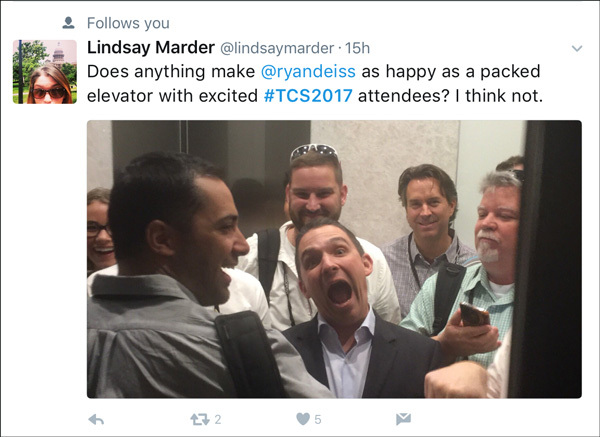 And the reason why he hasn’t was one of the biggest takeaways from his opening keynote at Traffic & Conversion Summit 2017. 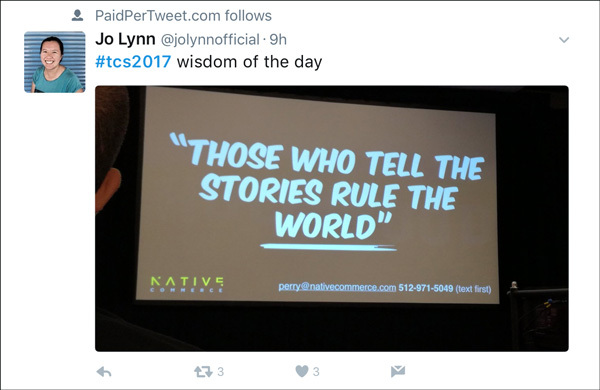 Read on to learn Ryan’s words of wisdom from his Day 1 keynote along with the highlights, insights, and strategies from the 3-day Traffic & Conversion Summit. Day 1 kicked off with an opening video that asked the audience what their story was. Everyone has a story, the video reminded the crowd. 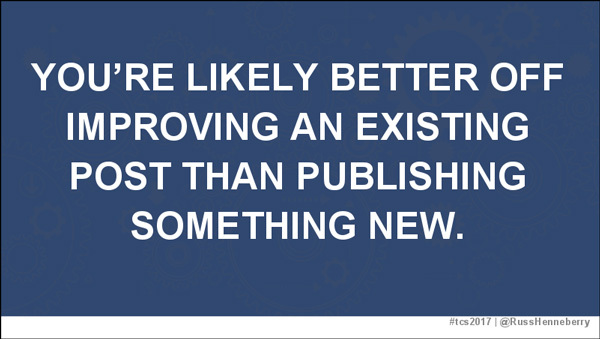 Every customer, every business, and every marketer. 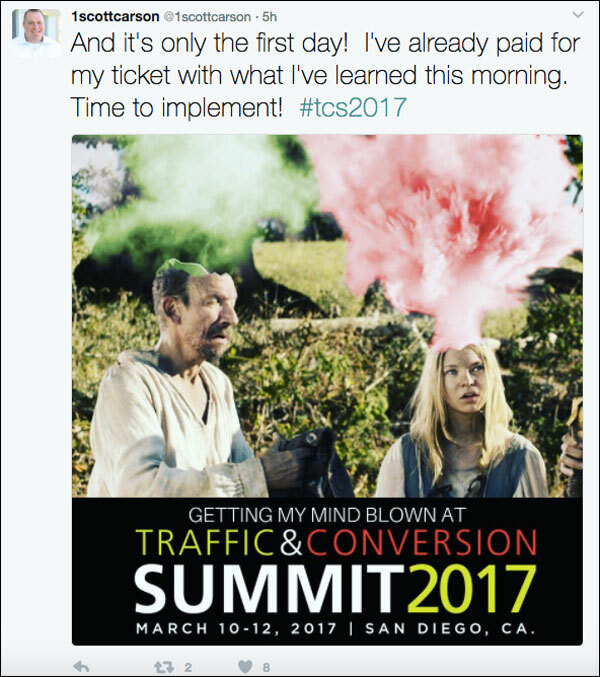 Like many before you, this is where your story begins… at Traffic & Conversion Summit 2017. 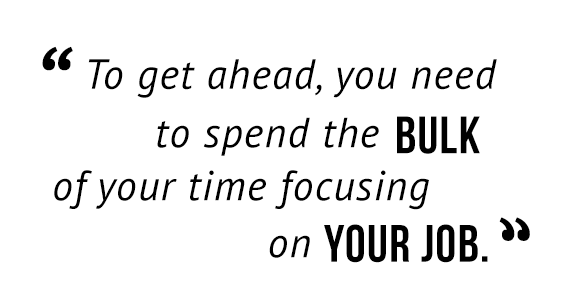 Are You Focusing on Your Job? 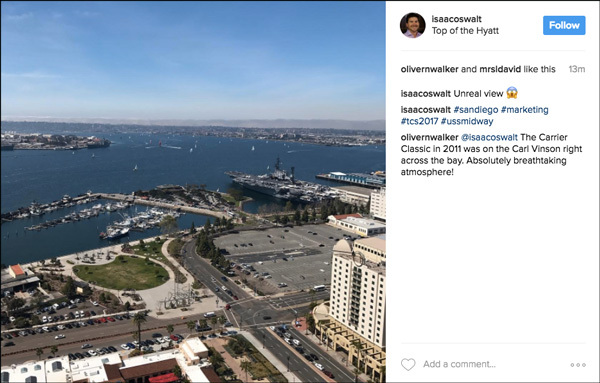 The reason Ryan hasn’t run Facebook ads in years is because he’s focusing on his job – running DigitalMarketer as CEO. His team is busy running Facebook ads and focusing on THEIR jobs. 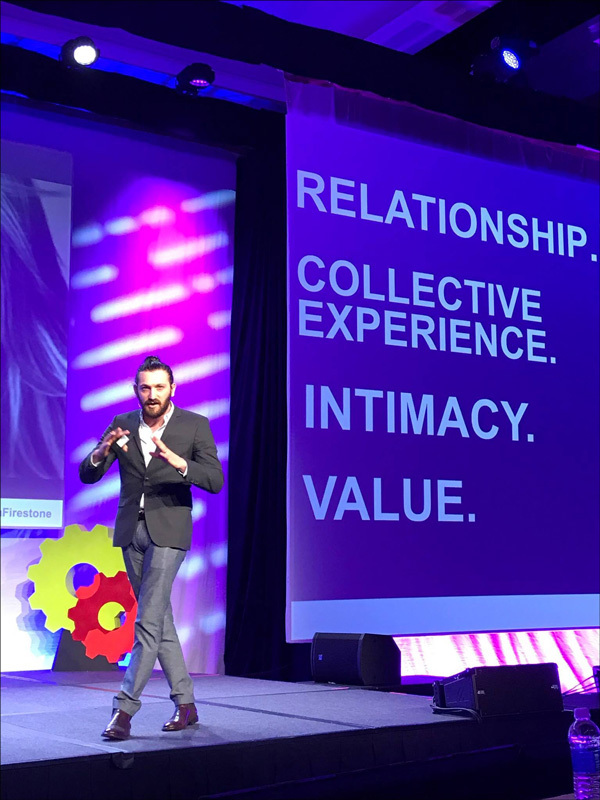 In his Day 1 keynote, Ryan told the audience that the digital marketing profession is constantly changing and that can be distracting and overwhelming. Many marketers may find themselves with “shiny object syndrome” as they try to do all things. But those who allow themselves to get distracted aren’t focusing on their job. Ryan reminded attendees that all businesses are made up of people. 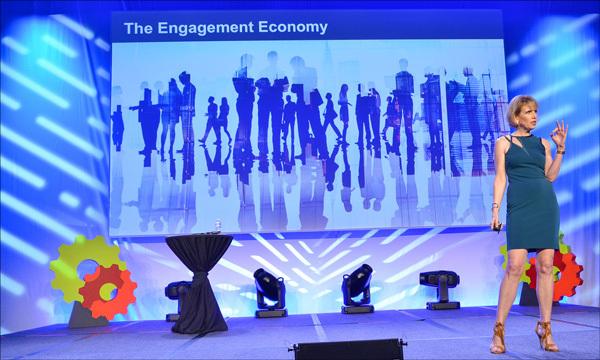 Your business is more than B2B or B2C – it’s H2H (Human to Human). 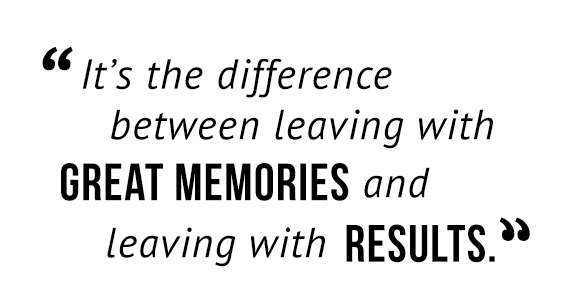 Remembering that is what will set your business apart. There are two things that are happening at Traffic & Conversion Summit that cannot be debated: lots of hand sanitizer is being used and people are LOVING Perry Belcher’s presentations. 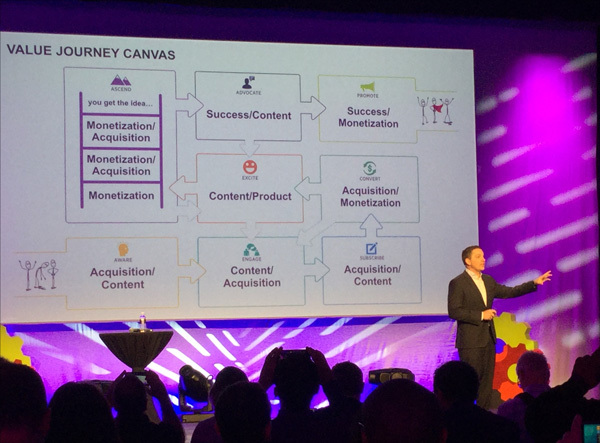 Here, our attendee, Mav Barrena, shares one of her biggest takeaways from Perry’s talk on The $500 BILLION Dollar “Madmen” Marketing Method That Creates Perfect Marketing Campaigns in 4 Easy Steps. When figuring out how to get people to engage with YouTube ads AND have an amazing experience, Tom Breeze drew inspiration from books he read as a kid: the Choose Your Own Adventure series. In the books, the reader assumes the role of the protagonist and is offered choices that determine the outcome of the story. So, if you wanted to fight the dragon you’d turn to Page 6, or if you wanted to run away you’d turn to Page 38. And Tom thought this format could be applied to YouTube ads. 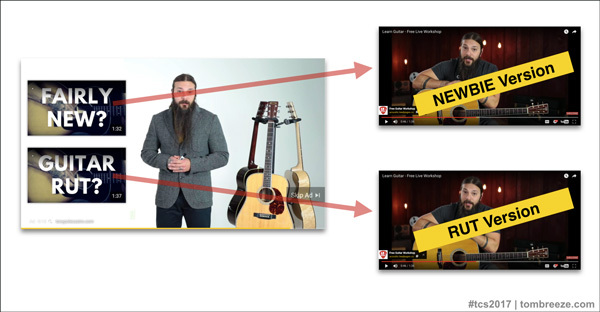 In his presentation, The YouTube Ads Framework: How to Find Your Customers, Know What They’re Thinking, and Get Them to Buy, Tom explained how he tested the “Choose Your Own Adventure” campaign with a client who offers guitar lessons. 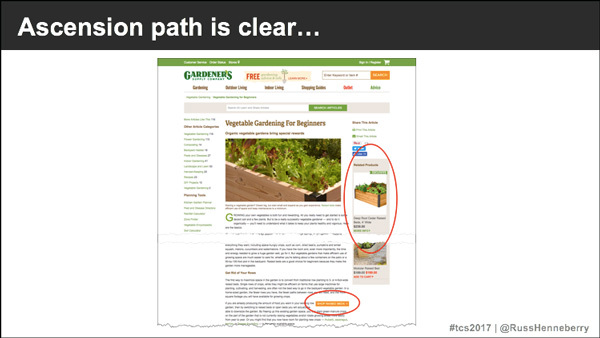 The choice between the two was the YouTube ad’s call-to-action (CTA). For Tom and his team, the Choose Your Own Adventure campaign will be a big focus for them in 2017. 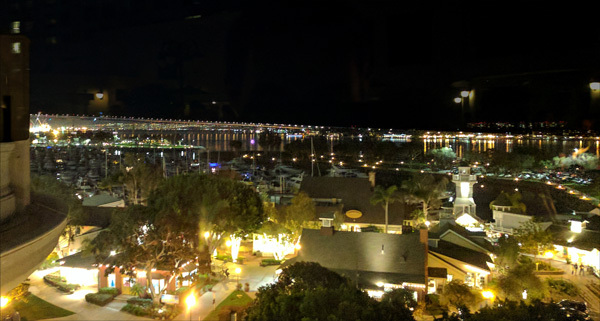 We held a contest as we geared up for the big event centered around how far Traffic & Conversion Summit attendees were traveling and we’re FINALLY able to announce the winner! 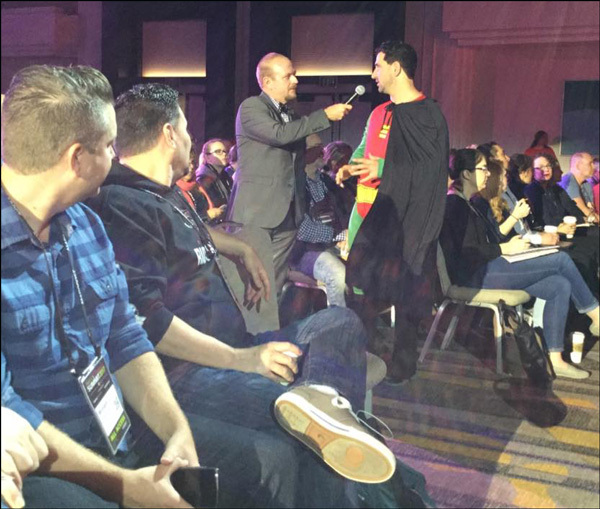 Pedro Vieira (right) flew all the way from Lisbon to attend Traffic & Conversion Summit 2017. 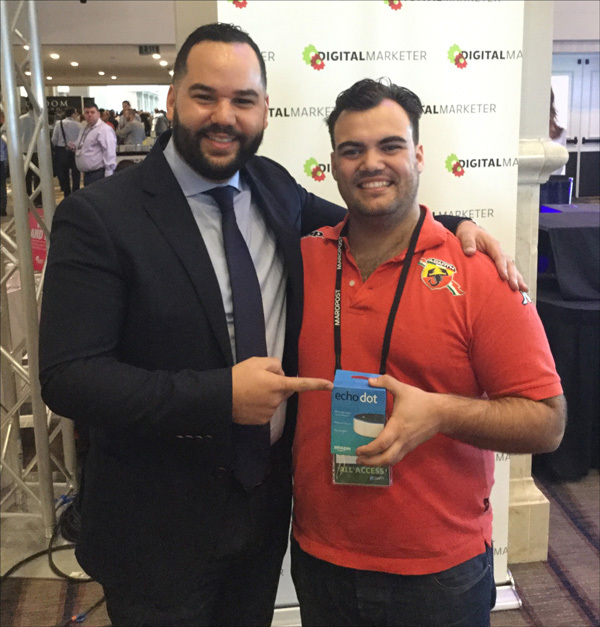 Check out Pedro posing with DigitalMarketer’s Director of Sales and Monetization, Marcus Murphy (left), and the Amazon Echo Dot he won. This is the spirit of Traffic & Conversion Summit. 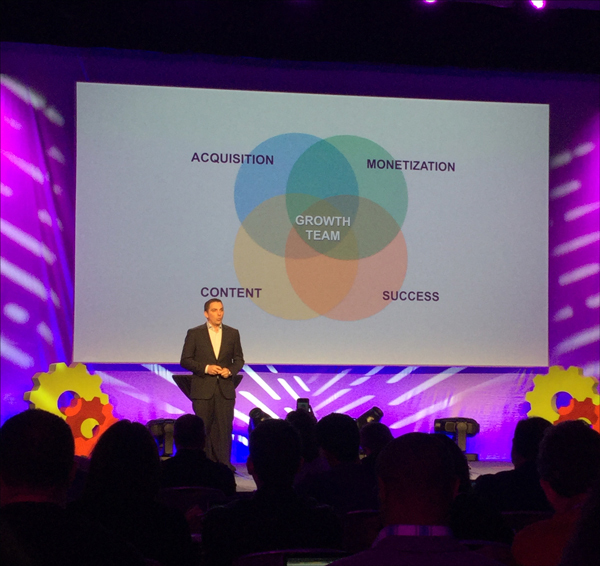 Yes, we’re sharing content and, yes, we want you to go execute so you can grow your business. 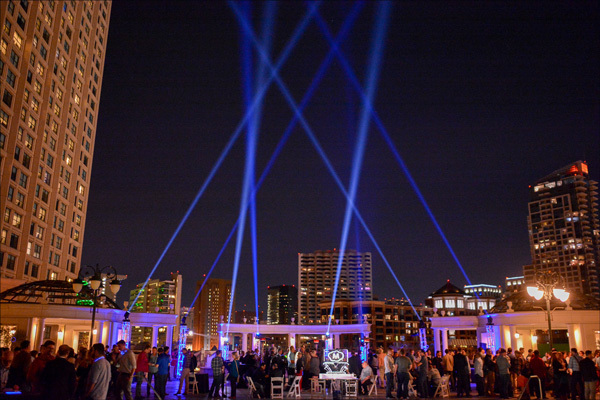 HOWEVER, the networking and relationship-growth possibilities here are endless and we love when we see our guests taking advantage of them! 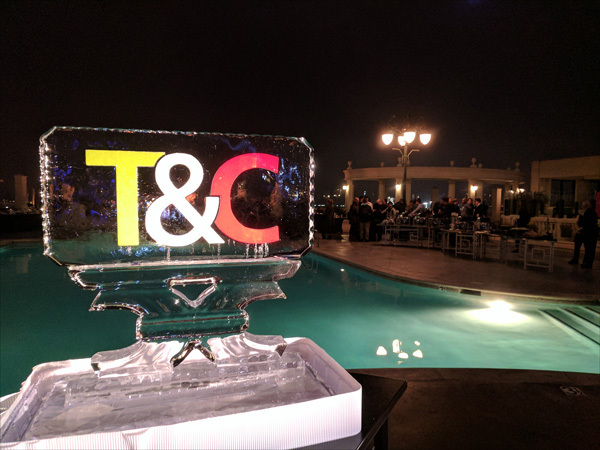 Guests enjoyed the live band, the taco buffet, and the opportunity to network with old and new friends! Do you know why members of the sales team and the marketing team so often disagree? It’s because they don’t know each other’s respective vocabulary or have a true understanding of what each team does. Because of this misunderstanding, there’s often miscommunication and a lack of empathy between the sales and marketing teams (or other teams like content and customer care). 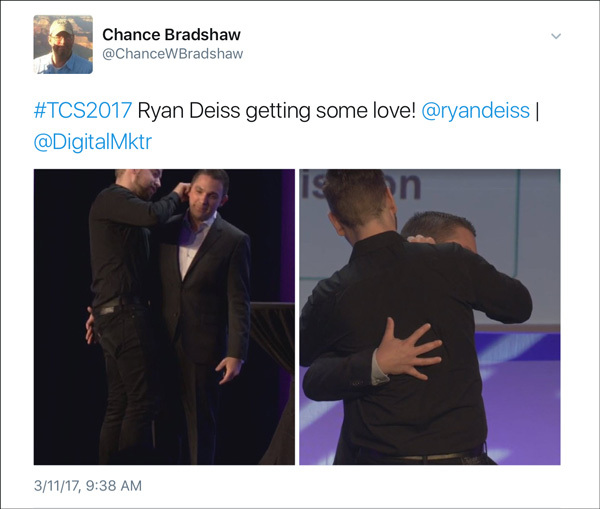 Ryan recognized this issue within DigitalMarketer, and in his Day 2 keynote, he spoke on how he and the DigitalMarketer crew have addressed this issue to make a more cohesive, and lucrative, company. They’re different positions, but the same team. And when this idea was put into action, DigitalMarketer saw miscommunication between the respective positions fall. Swipe your own Value Journey Worksheet here and fill it out for your company. 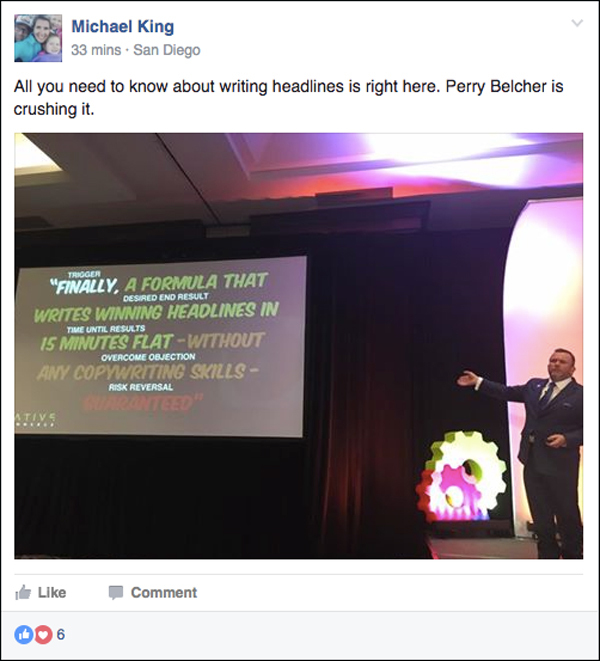 That’s what DigitalMarketer’s Director of Editorial, Russ Henneberry, told the audience during his Search Marketing in a Nutshell. Search Engine Optimization (SEO) isn’t dead, not by a long shot. But it certainly has changed. In the past, black hat SEO tactics like keyword stacking and stuffing were at war with search engines like Google. 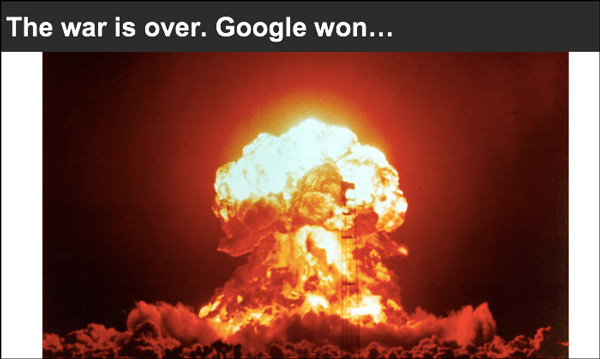 But the war is over – the algorithm WON. Search marketing is now white hat only. 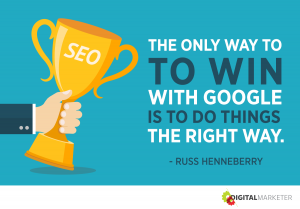 The only way to win with Google is to do things the right way. And that’s white hat SEO tactics. 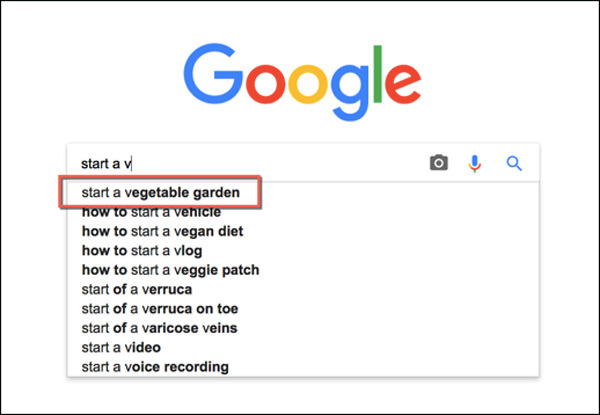 What are your customers thinking as they search? 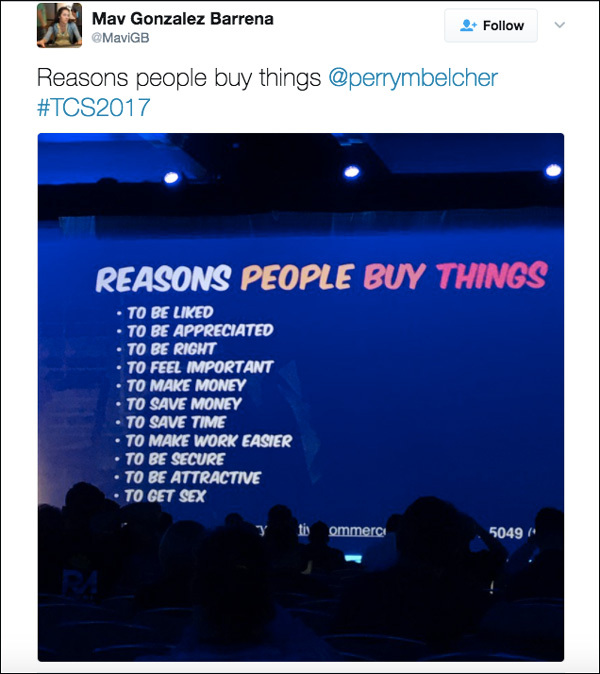 What keywords are they typing in? What’s their goal they’re hoping to accomplish by completing this search? By anticipating intent, you’ll better be able to create the necessary content that your customers are searching for. He also advised placing a CTA on all of your pages, where appropriate, as it will generate leads, like the example page below has done in two instances. “It’s free money,” Russ said of including CTAs. In his Facebook Messenger Bots: Leveraging Artificial Intelligence for Profit presentation, Ezra Firestone shared that the future of ecommerce is bright. And this bright future can help you reach your customers in a whole new way! According to Ezra, bots are the future of the way we communicate, shop, travel, book things, and use other services. 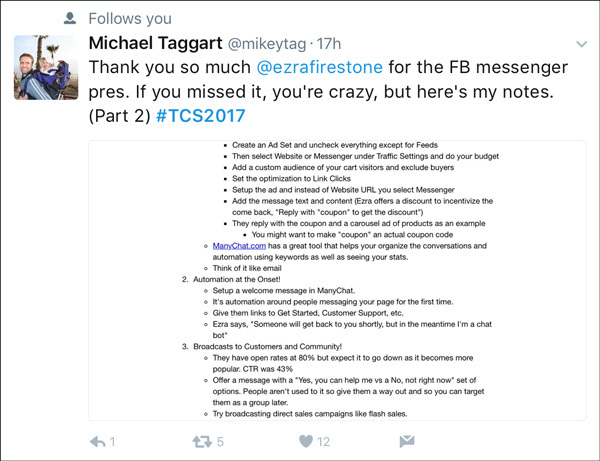 Bots you can use with Facebook Messenger. 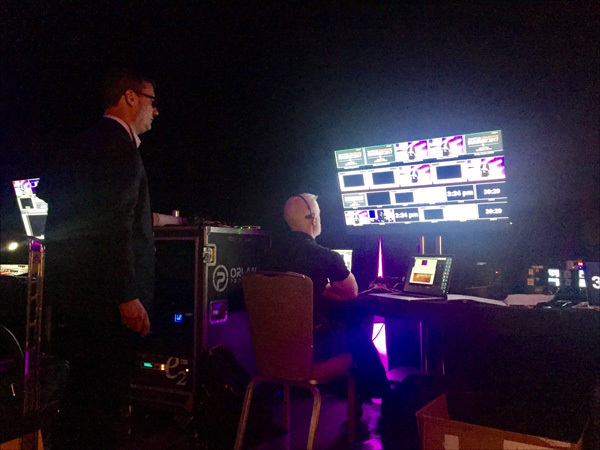 When Kevin Harrington took the stage, he had everyone on high alert. One of the most powerful ways to sell is by showing a “Before” and an “After” picture. When you’re pitching, you need to talk about the competition and what else is out there. 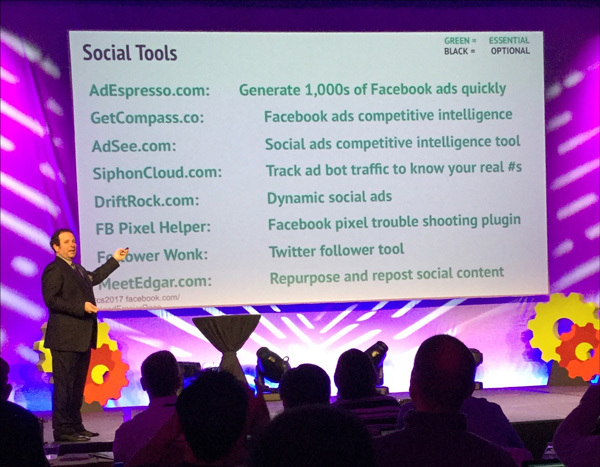 DigitalMarketer’s community manager, Suzi Nelson, caught us up on how to have the best community online in her presentation, How DigitalMarketer Uses Facebook Communities to Increase Conversions, Reduce Churn, and Change People’s Lives. She spoke about the difference between an audience and a community. Her biggest takeaway to remember? It’s not about you. It’s about your members. 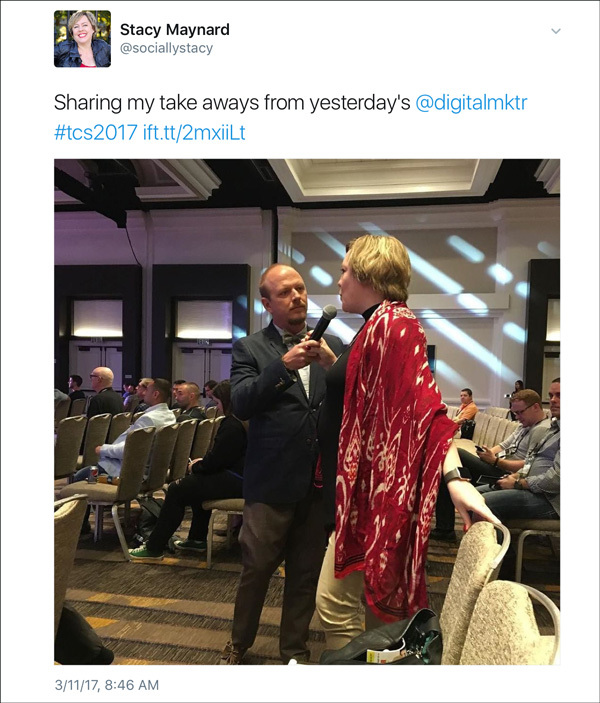 And speaking about community… check out how ours (DigitalMarketer Engage) is working to keep each other included and network while Traffic & Conversion Summit 2017 is going on! 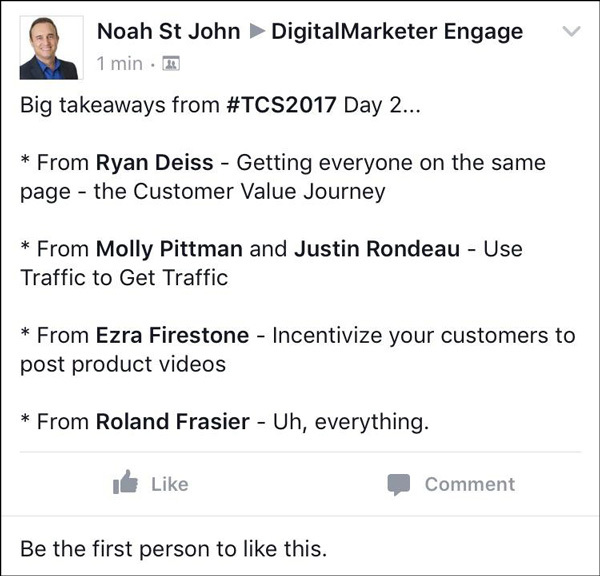 Molly Pittman, Ralph Burns, Keith Krance, Tom Breeze, and Mike Rhodes helped bring Day 2 to a close with 5 Killer Traffic Campaigns to Swipe and Deploy in Your Business. 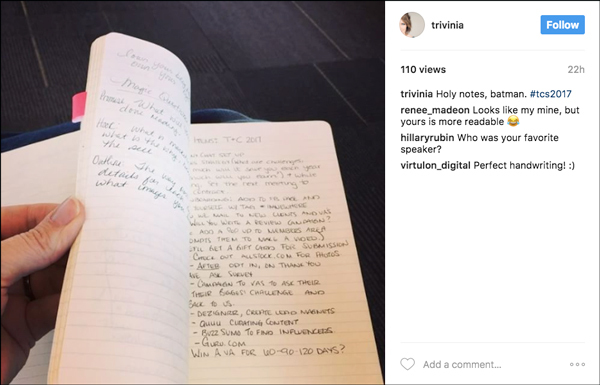 Molly Pittman closed the presentation with the content first video campaign that was able to acquire 12,006 leads at $4.49/lead. 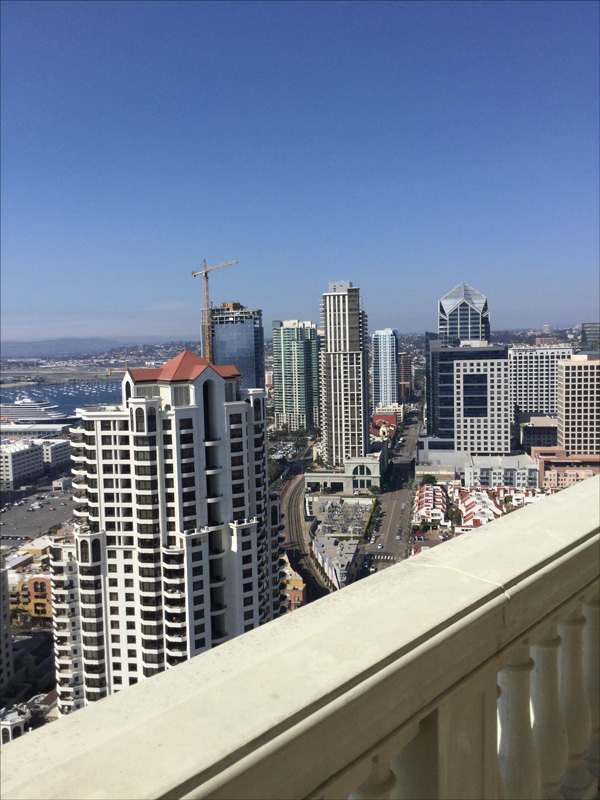 And how about that San Diego view? 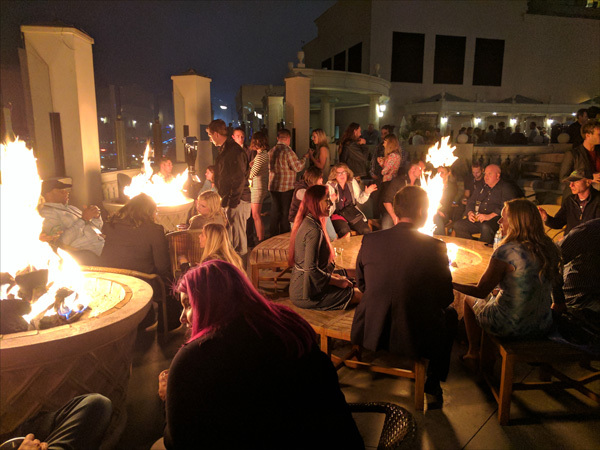 The final networking party of Traffic & Conversion Summit was the VIP Reception, and, like the previous night’s party, was hosted on the pool deck. A fun evening ensued filled with live music, great food (salmon, steak, and dessert! ), and bonfires (to offset the chilly, spring night)! 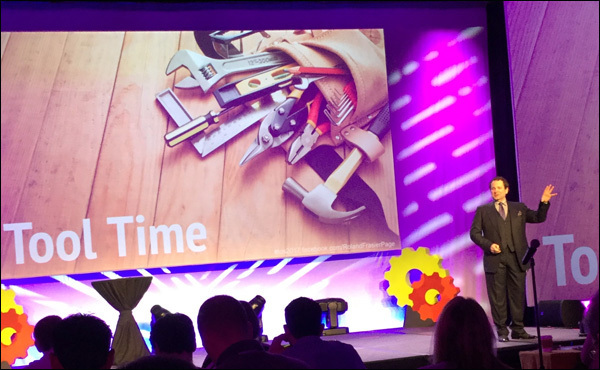 In Tool Time: The Hottest, Most Effective Marketing Tools & How to Use Them, Roland gave an overview of the many, many tools digital marketers can use to gain insight on their customers and make their jobs easier. …and many more – including some of his favorites. 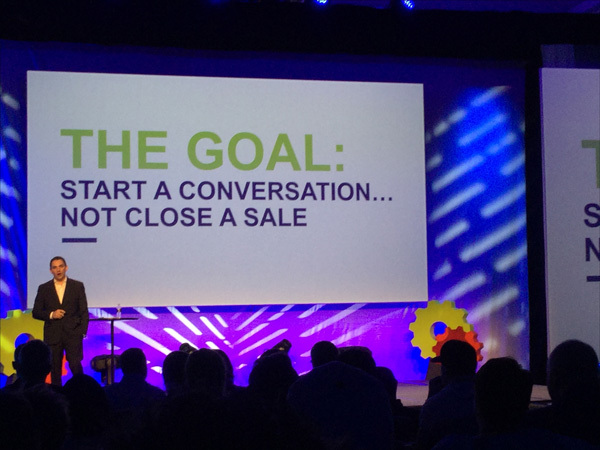 Have You Heard of Conversational Selling? 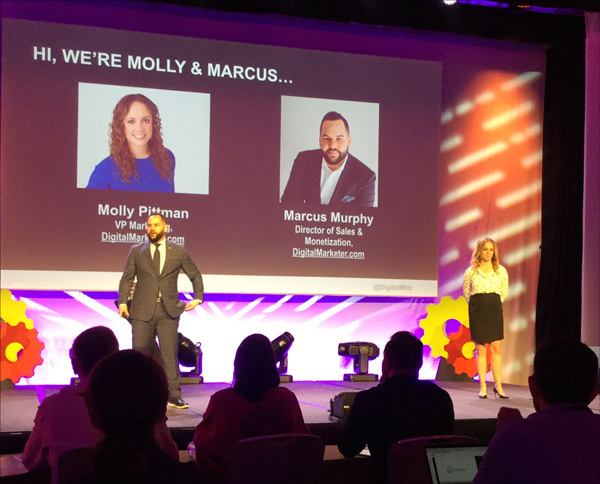 DigitalMarketer’s Molly Pittman and Marcus Murphy presented on what they’ve done to increase communication between their respective teams: the Marketing Team and the Sales Team… and DigitalMarketer as a whole. 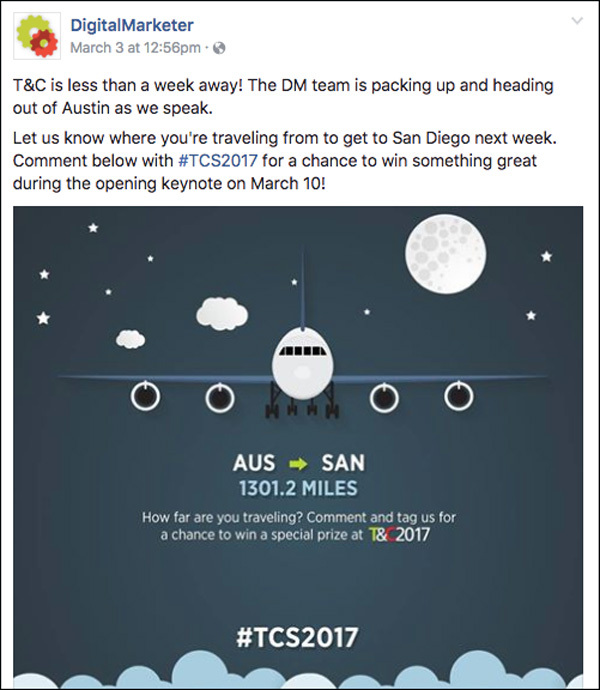 In their Conversational Selling: How to Use Facebook Messenger, SMS & “Personal Emails” to Close More Sales (Without Being Salesy), the duo spoke about a new concept they’ve implemented at DigitalMarketer. 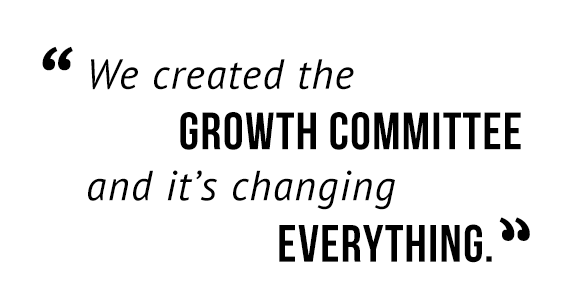 They call it, the Growth Committee. 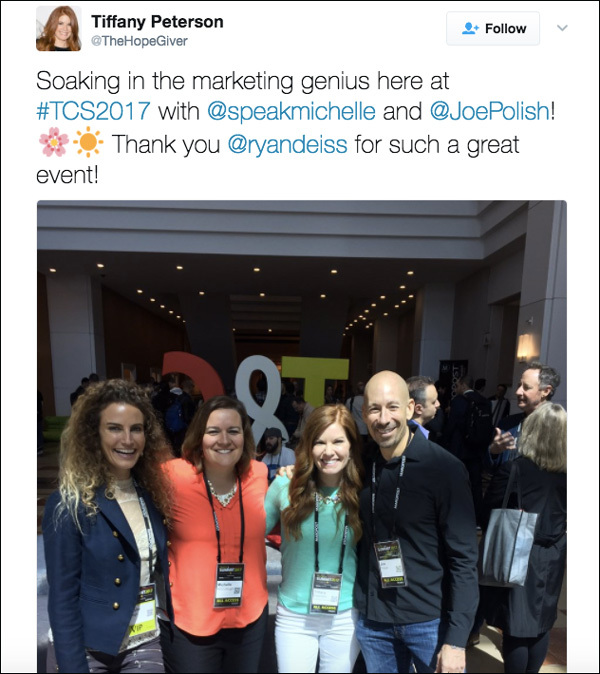 Molly and Marcus were proactive in ensuring communication ties between the Sales and the Marketing teams at DigitalMarketer were strong. Marcus said he and Molly are always talking and always working together. But they realized, it wasn’t just the Sales and Marketing teams that needed to communicate more. It was ALL the departments. And thus, the Growth Committee was born. 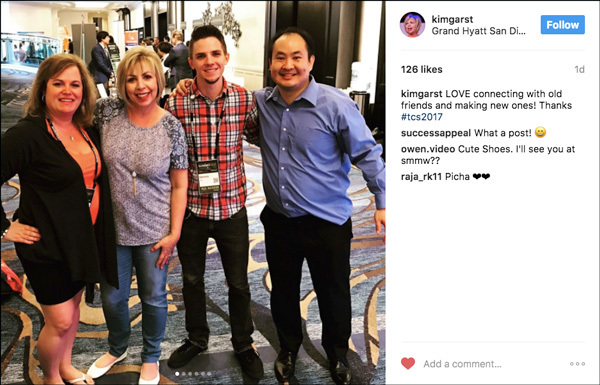 The Growth Committee consists of an “ambassador” from each team within DigitalMarketer. That ambassador is responsible for representing their team during the weekly Growth Committee meetings. Then, ambassadors report back to their team what was discussed in the meeting – and it has significantly reduced miscommunication between departments. “We created the Growth Committee and it’s changing everything,” Marcus said to the crowd. Inner-department communication wasn’t all they talked about in their info-packed speech. 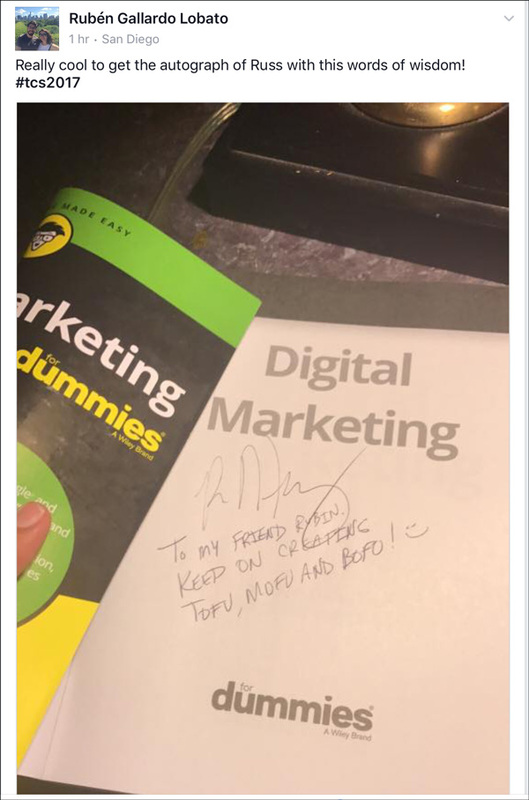 To start a conversation, DigitalMarketer is using Facebook Messenger. This Facebook Messenger conversation is generating subscribers, engaging customers, and helping DigitalMarketer follow-up with leads. 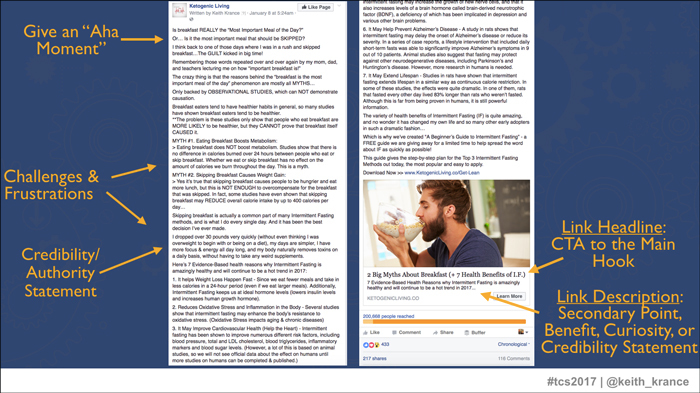 You can learn more about that strategy in Episode 80: Facebook Messenger Ads: Everything You Need to Know. 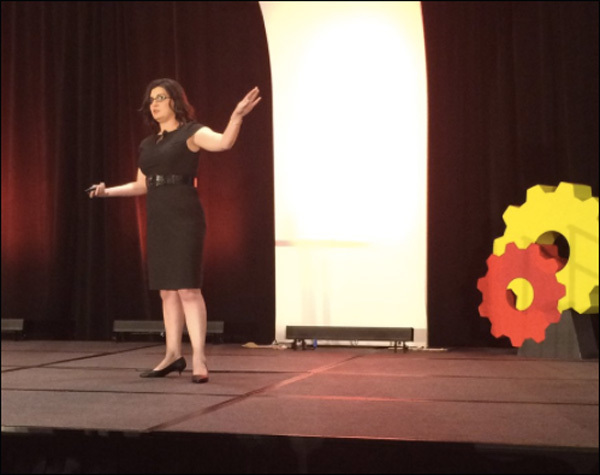 During her ask me anything, social media thought leader, Mari Smith, talked about emotional intelligence and customer care. Emotional intelligence is about having true acceptance of yourself and your life. When emotions go up, intelligence goes down. So, make sure you’re training your staff to be emotionally intelligent. Emotion is what your customer care team needs to introduce when messaging your customers because the goal for messenger customer care is to get that word of mouth. Towards the end of the final day, Russ Henneberry and Lindsay Marder presented on the third installment of Content Engine: How to Quickly Crank Out High Quality Blog Content. At the end of 2015, there were a total of 1,189 posts on the blog. By the end of 2016, that number had been reduced to 312 published posts. A 74% decrease. And only 58 new posts were published in 2016, a 39% decrease from 2015. How was blog traffic increasing while there were FAR fewer posts on the DM blog? 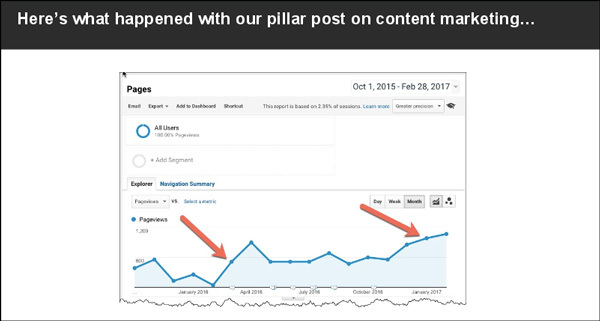 Russ and Lindsay went over the strategy they implemented in 2016 to increase blog traffic with less content. First, they did spring cleaning on the blog. Using Google Analytics, the blog was accessed to see which posts were getting traffic and which posts weren’t. Posts with little to no traffic were often older. These posts had become outdated or no longer met DigitalMaketer’s quality standards. Therefore, a 301 redirect was applied to them. These old posts were redirected to the most relevant new post. 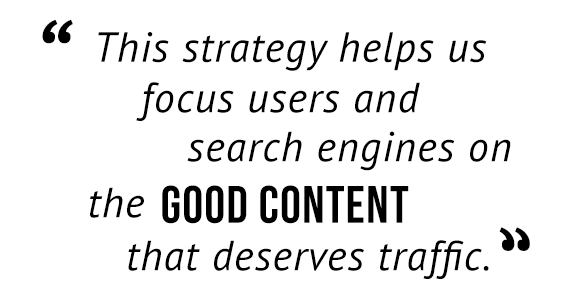 This strategy helps to focus users and search engines on the good content that deserves traffic. Next, instead of only focusing on creating new blog posts, Russ and Lindsay worked on the pillar posts. Remember those numbers from earlier? 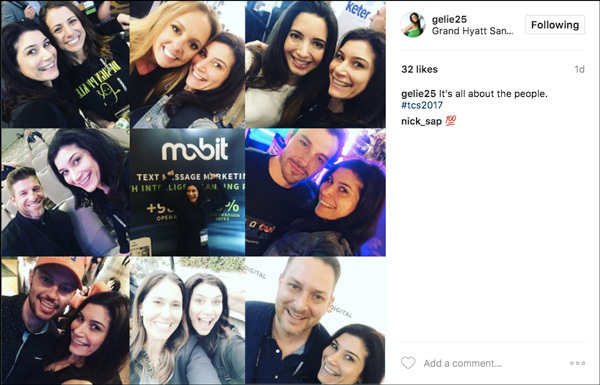 Throughout the course of Traffic & Conversion Summit 2017, people took to Instagram, Facebook, Twitter, Snapchat, the Traffic & Conversion app, and more to share their Traffic & Conversion experience. We love hearing how much you learned and what you learned! 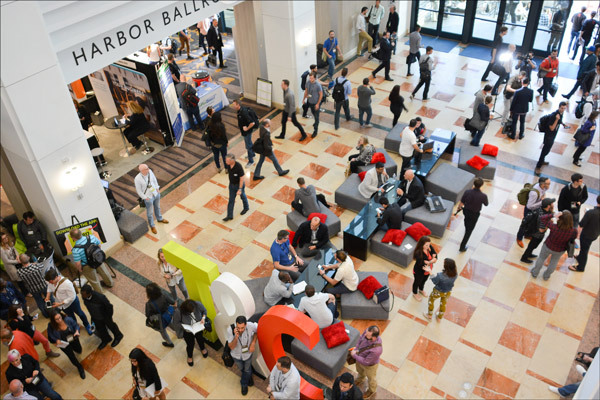 Traffic & Conversion Summit is a special place where many attendees can exclusively focus on digital marketing strategies and not worry about the distractions of the outside world. 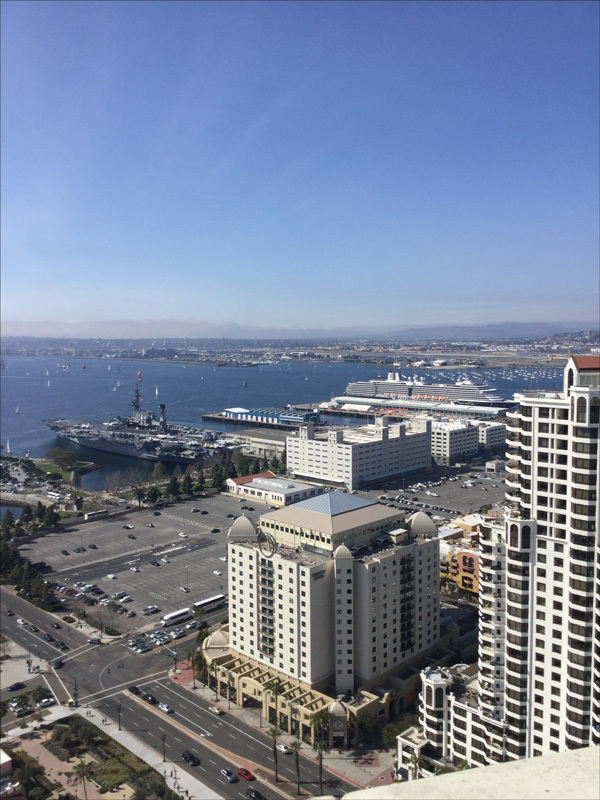 But when you leave the breakout sessions, the outside world is waiting for you. 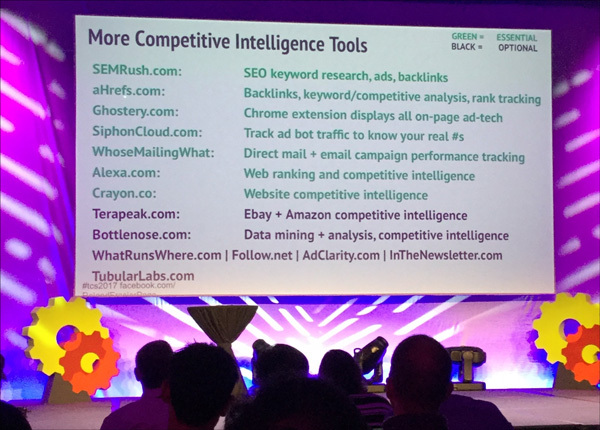 What will you do to keep the same focus you may have found or experienced here at Traffic & Conversion Summit 2017? 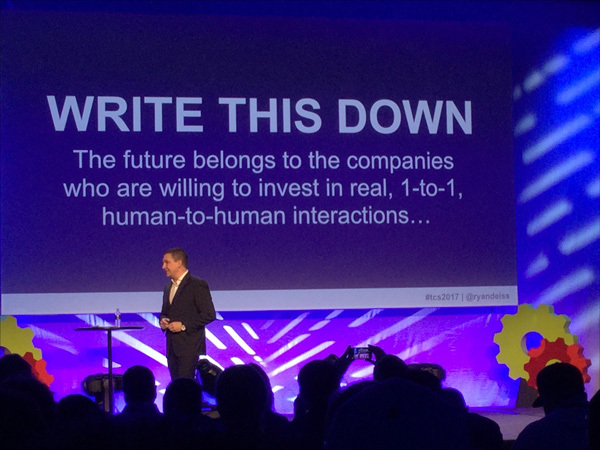 That’s what Ryan advised in his closing keynote. What’s the main thing you want to accomplish? What are you going to start on first? Ryan said, writing down what you plan to accomplish before you leave and get back to the “real world” is the difference between leaving with great memories and leaving with results. To everyone who attended or watched on Livestream, thank you all! Thank you for spending time with us. 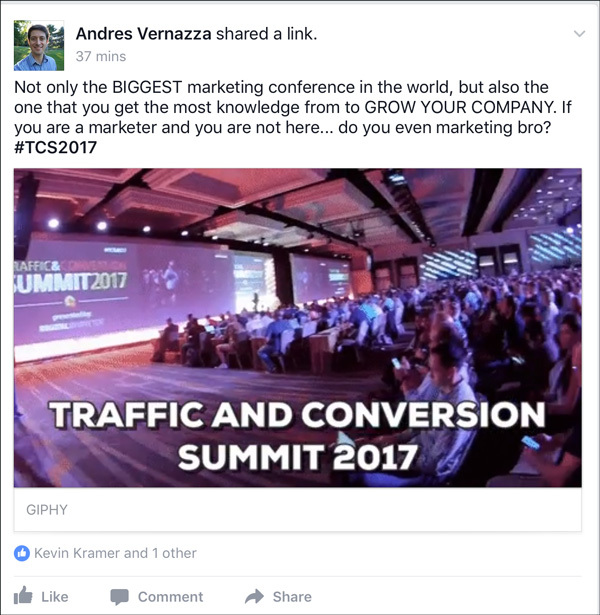 We hope what you learned at Traffic & Conversion Summit will help you double the size of your business and help others do the same!